There’s a little under two months left until the release of the $99 Android-powered OUYA console is released in stores and it looks as though it has gotten a good deal of bad reviews after a week out in back launch or pre-launch. These comments mainly come from both backers who got the console and review sites by way of backers. OUYA’s CEO Julie Uhrman stated that the reviews shouldn’t be taken as concrete and what to expect in the June retail release since the Kickstarter backer consoles are for a form of consumer observation for what is wrong with the consoles and what it needs so that OUYA can use that feedback. Uhrman also mentioned that reviewer consoles will be released next month and reviews shouldn’t go off of the backer released. Some complaints included a sluggish interface, a controller than wasn’t all that sturdy and a lack of games ready to play. A few backers who did an early review of the OUYA stated that the UI was a bit sluggish, but that the controller was fairly sturdy even though it came apart in the box (it comes part easily to allow for altering as the user sees fit). Uhrman said that they are considering adding magnets for the controller to keep it from coming part during shipping, but that the hardware overall was completed. CEO Uhrman pointed out that the OUYA is in constant work and that OUYA will be working on making the software more responsive, external storage, extra metrics for game developers, more payment options for games through the store, controller support for video players, and a “simpler game install process”. There is said there will be more features added for the official launch on June 4th. One thing that should be pointed out is that this release of the OUYA is more of a beta for backers who donated. They get a version that functional like the retail version, but isn’t the retail version. You send out material to your backers for them to test and tell you what should be added, taken out, what’s good, what’s bad, and so on. This also means the issue of a lack of games—while a concern—shouldn’t be a great concern since this isn’t ready for the shelves. A lack of games also lies with the developers who are working on something, but haven’t gotten anything out yet. Despite the reviews, the one comment that came up constantly was that the OUYA shows a lot of potential and everyone can get behind something shows the potential and isn’t just devoid of it and anything remotely redeeming. It’s the redeeming qualities that open the door for the potential to be seen. 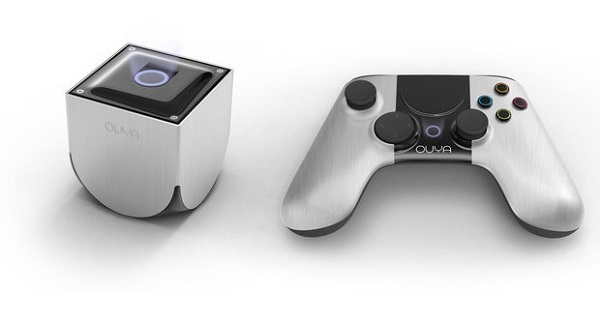 One question raised is whether the backers will get a full retail version of the OUYA in June. Surely the backers won’t be left with a console that isn’t store ready. This, concerns about the reviews, and other questions are sure to be answered next month during an AMA with Reddit where Uhrman will tackle questions.